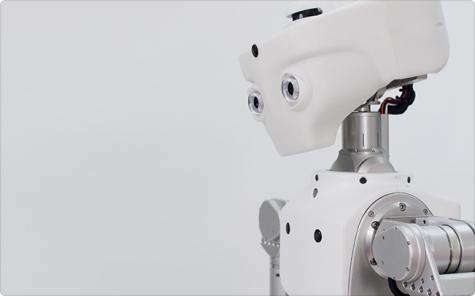 (PhysOrg.com) -- San Francisco-based company Meka has introduced the Meka Robotics' M1. 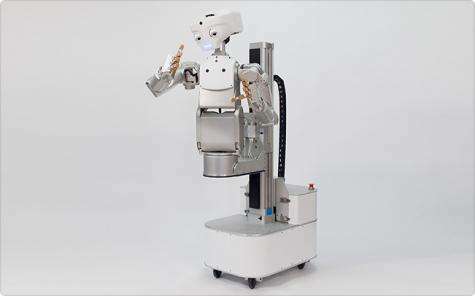 The Meka Robotics' M1 is a mobile robot that features a pair of dextrous arms with what is known as compliant force-control (a set of sensors that measure how much force is being used for each task, in order to keep the robot from breaking items or hurting humans) and some modified Microsoft Kinect sensors. The Meka Robotics' M1 has a human like appearance. It has a head with two eyes and an adjustable torso that allows it to go between the height of an average sitting human and an average standing human. The M1 does not, however know how to walk like a man. It has bypassed the idea of bipedal locomotion in favor of a motorized wheel base. That does limit its mobility, but unlike walking robots, like Asimo, it does not spend a lot of time and processing power on walking that can be better used on tasks. 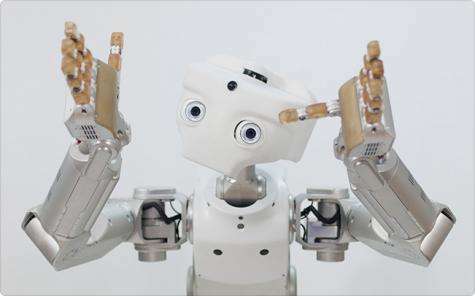 The choice of using modified Microsoft Kinect sensors allows the robot to see the world in some semblance of 3D, which is important if the robot wants to be able to act in the real world, which is the goal of these bots, human-like action. These robots are expected to retail for about $340,000 for a user-customizable design, which means that you will not likely see them at the corner store, but when they are ordered the customer will get exactly what they need from the bot. The market for these bots in expected to be universities and in-house research facilities. Have these things service special purpose bots in factories and run 3D printing/additive manufacturing machines. But they will need aprons (and skin) if they are going to cook bacon. That video didn't really show any technical proficiency. But I guess since it's an empty robot shell and intended to be programmed by the customer, that is expected. I'm kind of annoyed that Japan is killing us in robotics. There is no reason for this. We have some of the best universities. We need to re-prioritize our research to plan for the future. We should have robots that can outperform ASIMO easily. Advanced robots could handle the majority of medial tasks in the near future. Imagine completely autonomous factories. We can even make robots to repair assembly line robots! Why are those robots always so creepy, that my baseball bat is appearing in my hands. I guess, I'll have to get used to it. But I wasn't impressed with these. Basically a mobile Kinect with robot body. Just general creepiness. "Why are those robots always so creepy...?" $340,000? put me down for two..